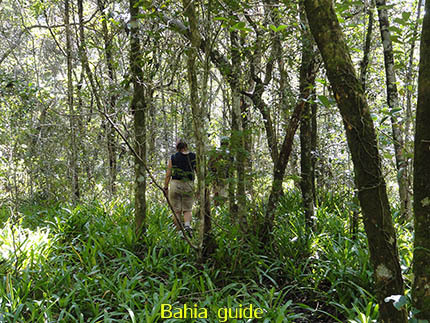 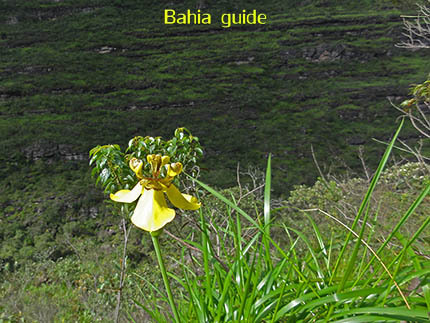 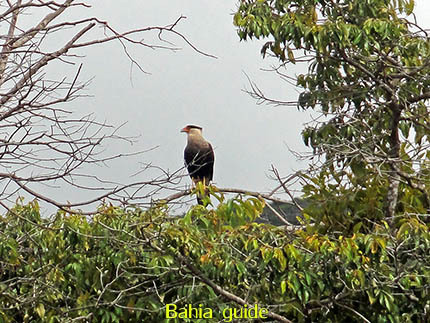 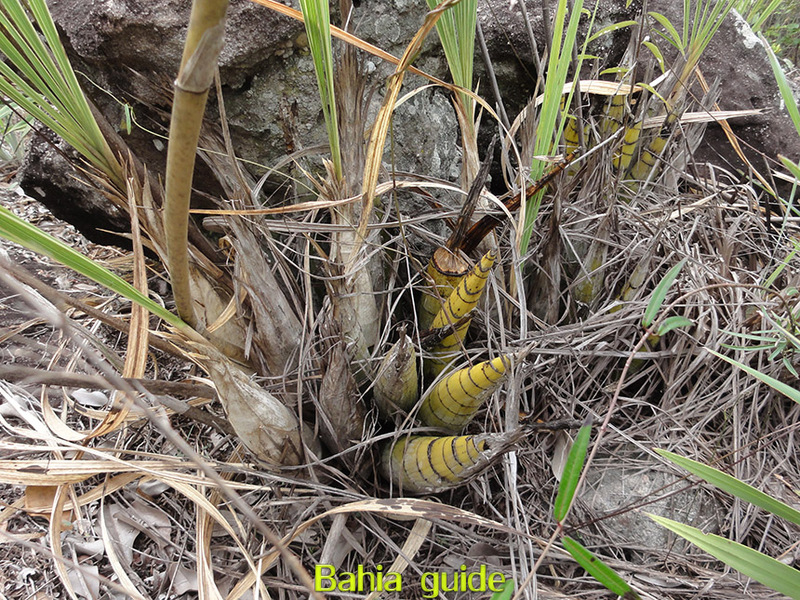 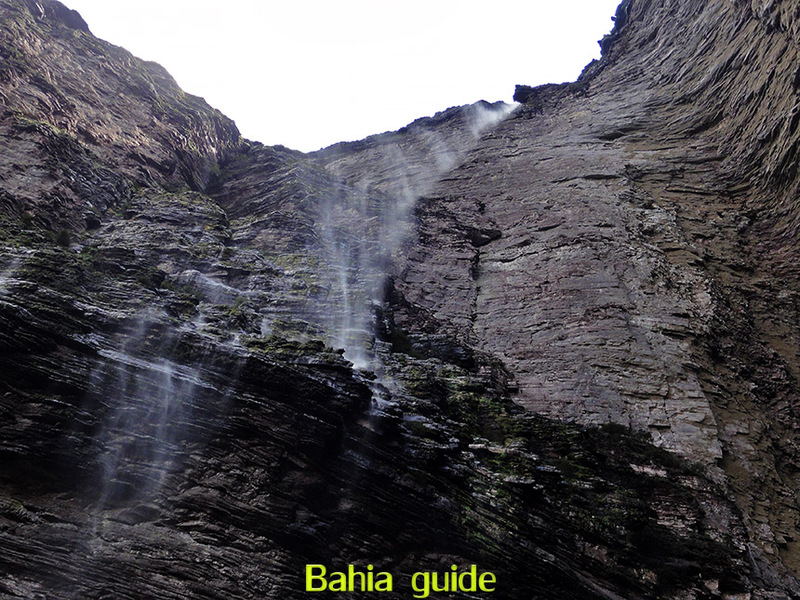 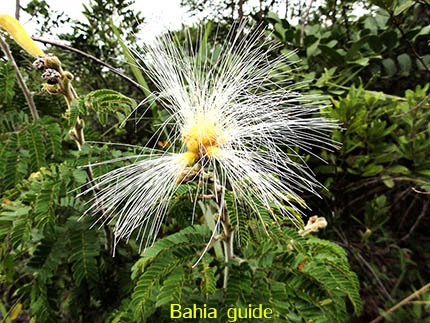 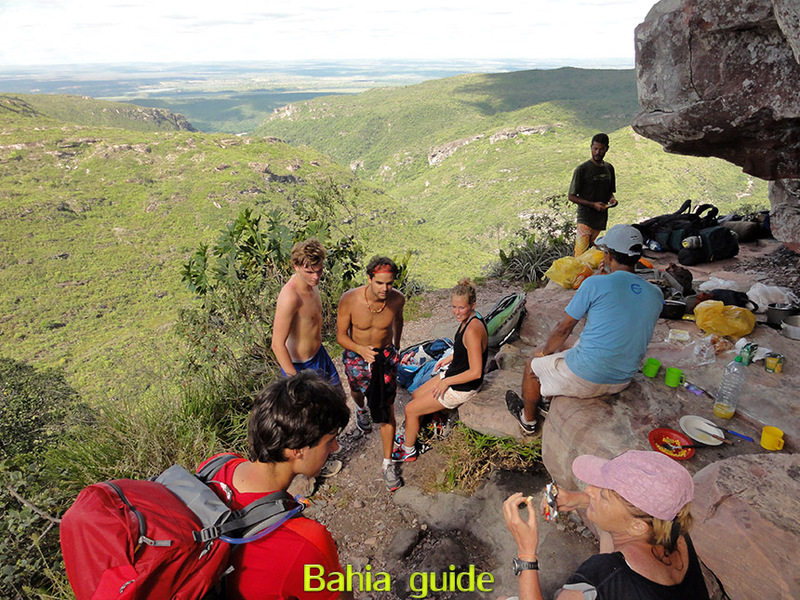 The best, most original, private tour-guide services for travelers in Bahia, lowest price available. Discover ecological friendly alternative walking tours, trekking and hiking in Chapada Diamantina National Park aka the Brazilian Grand Canyon. 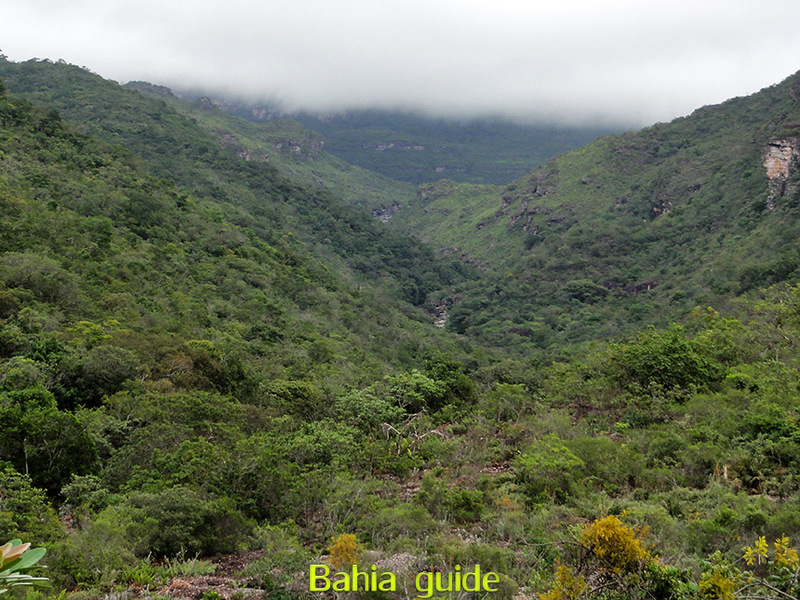 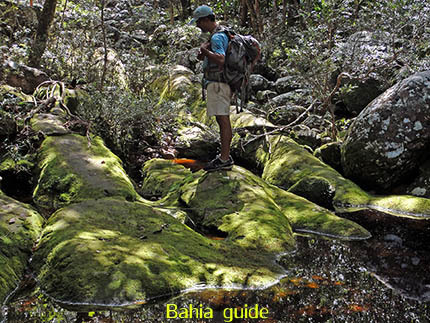 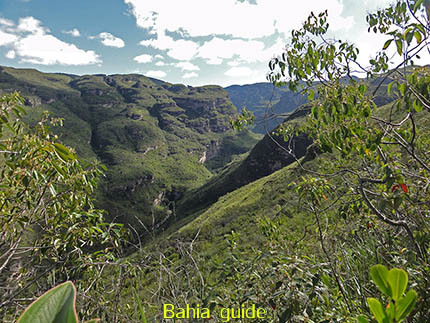 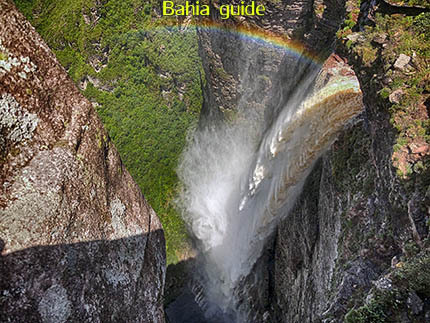 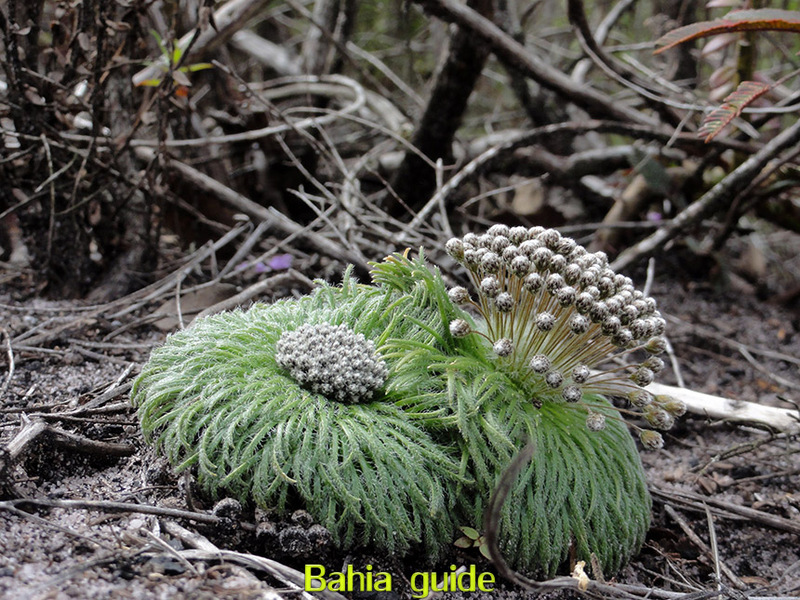 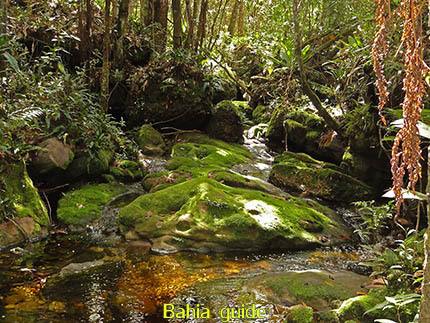 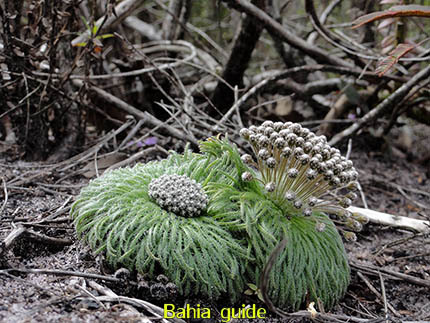 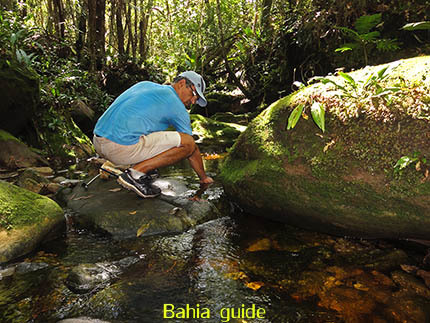 Book directly with Ivan Bahia Guide. 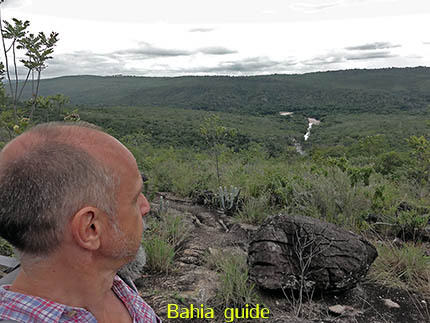 We would like to thank ZenTur, Trajano, Marcio, Bahiaflaneur, Bahia Metisse, Chapada Adventure Daniel and others for their collegiality. 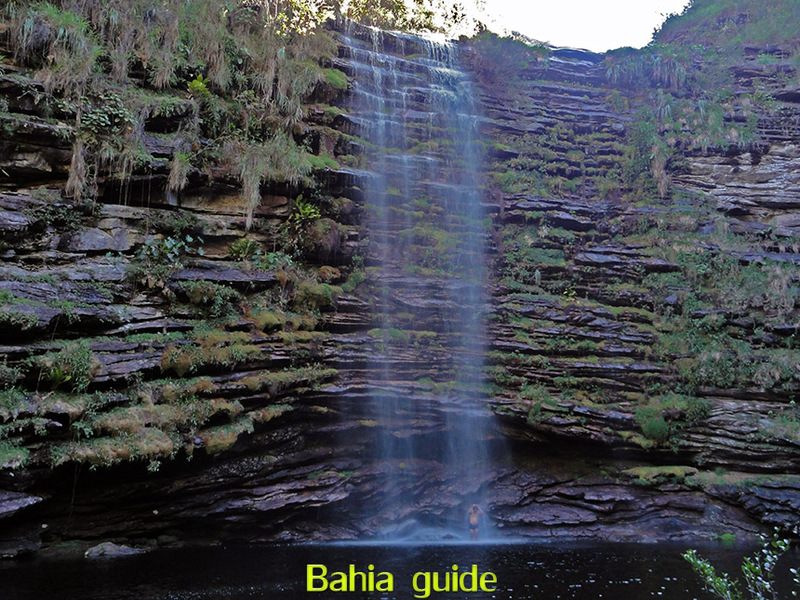 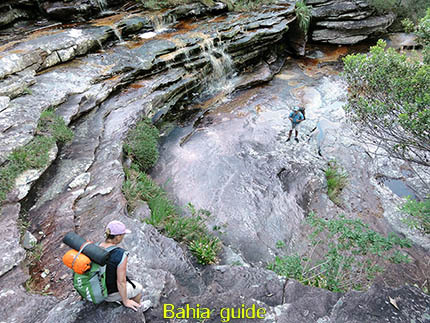 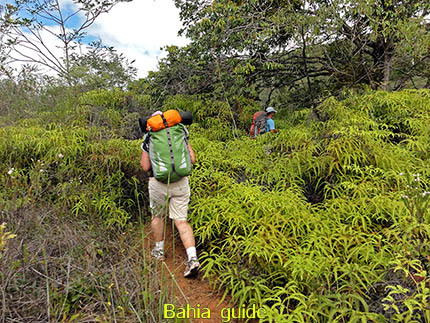 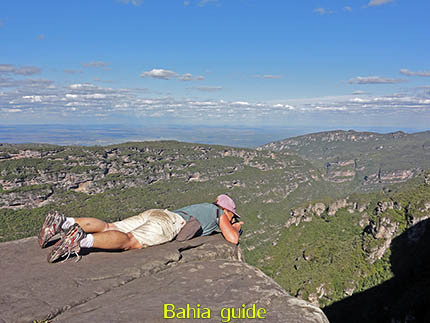 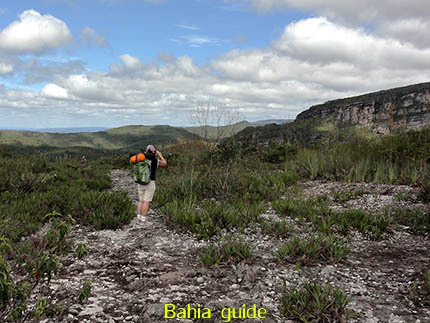 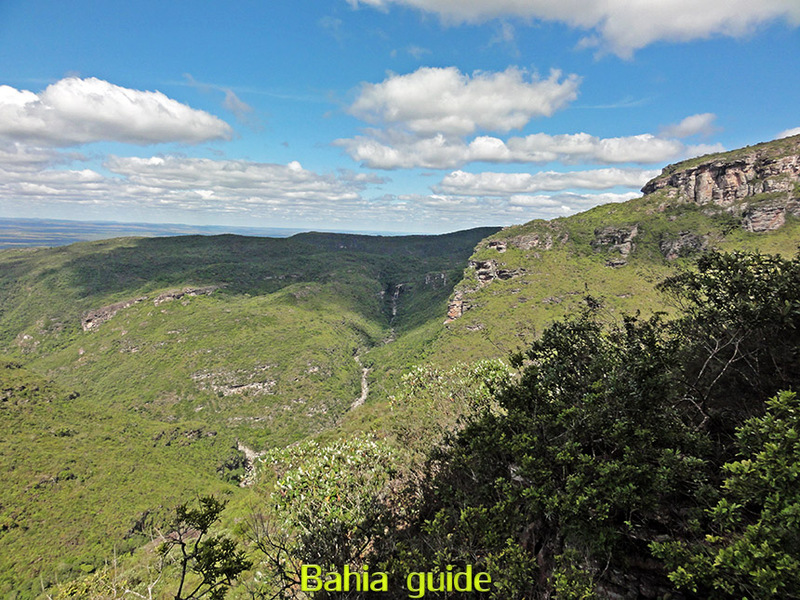 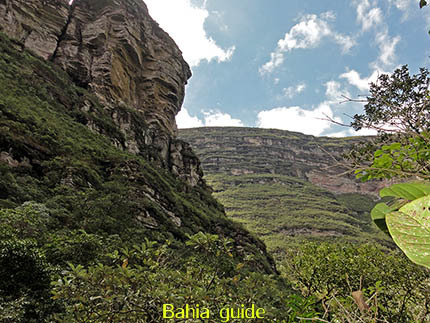 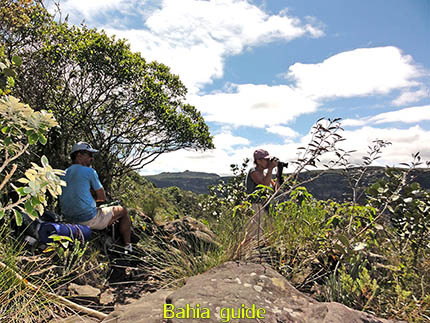 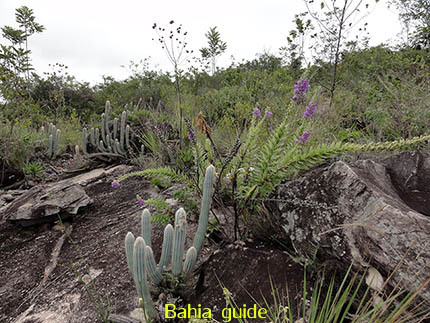 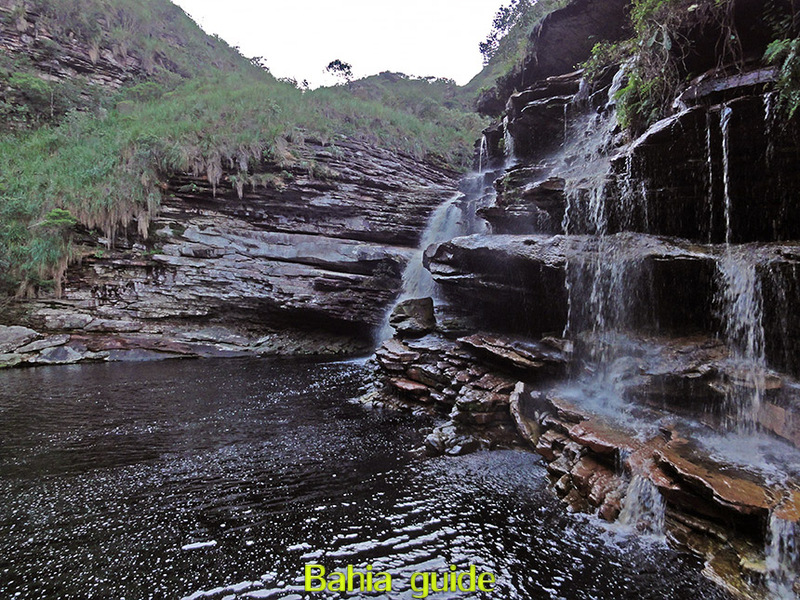 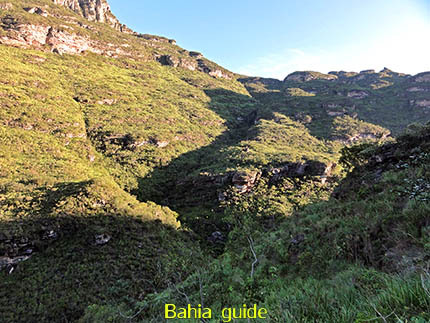 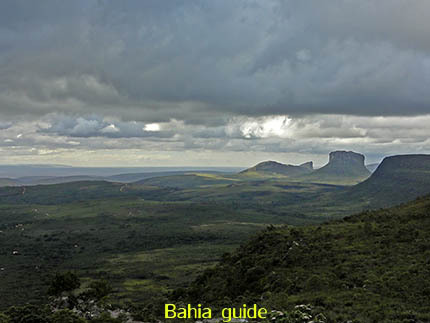 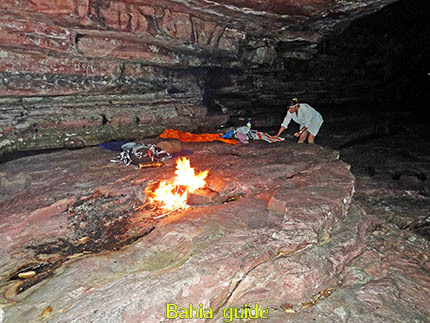 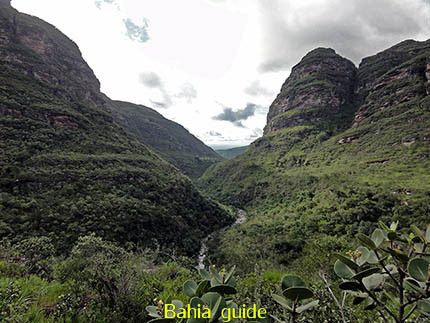 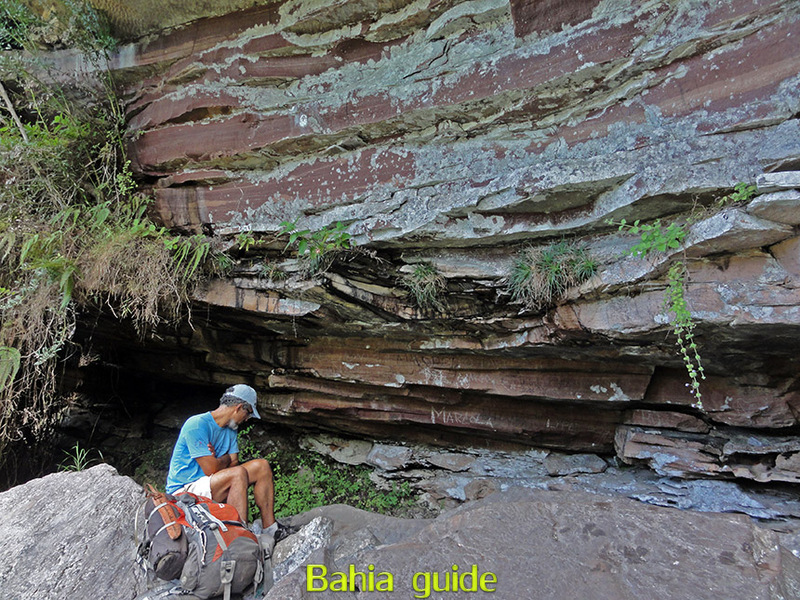 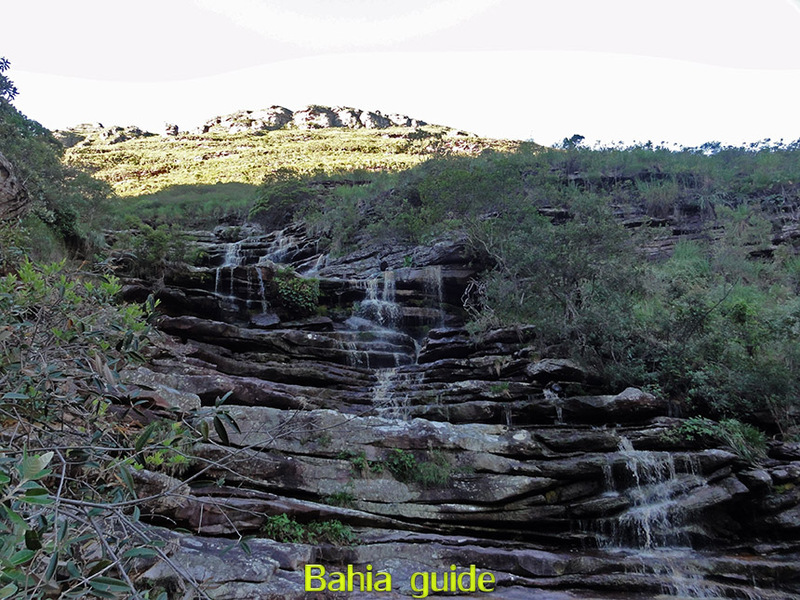 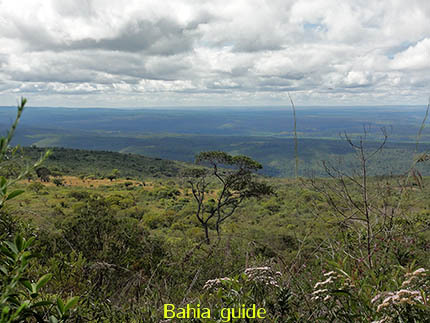 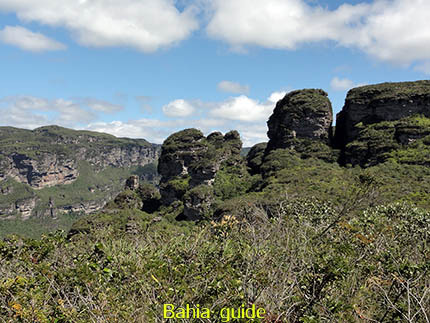 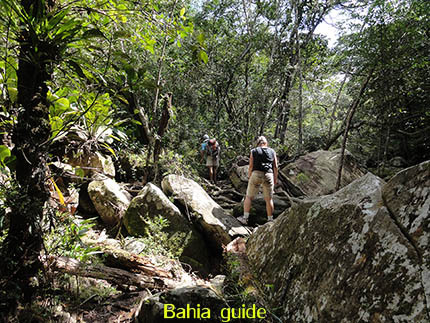 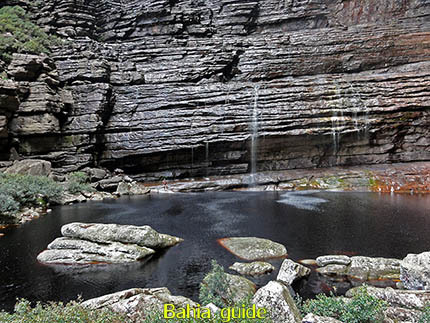 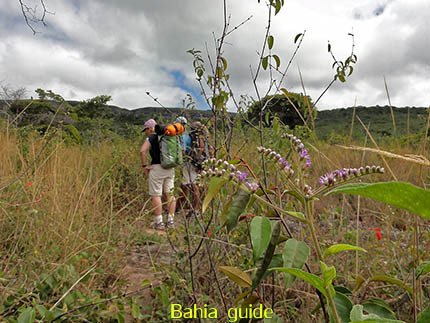 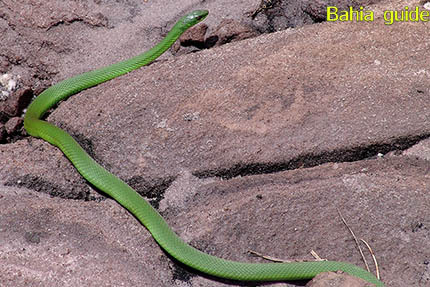 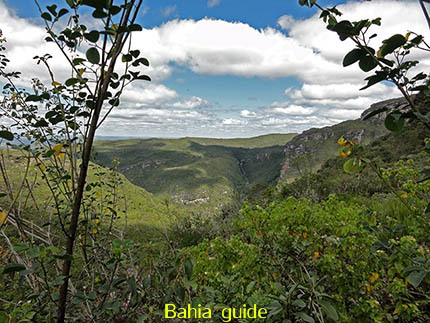 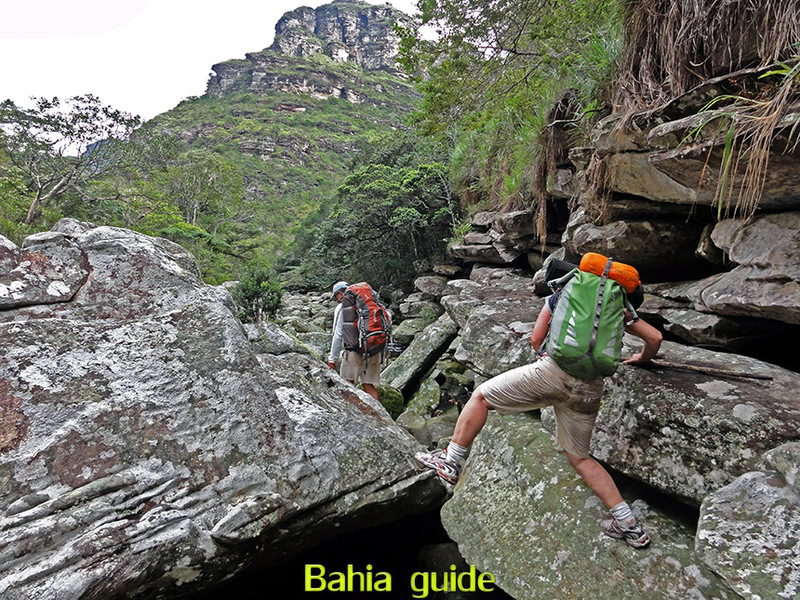 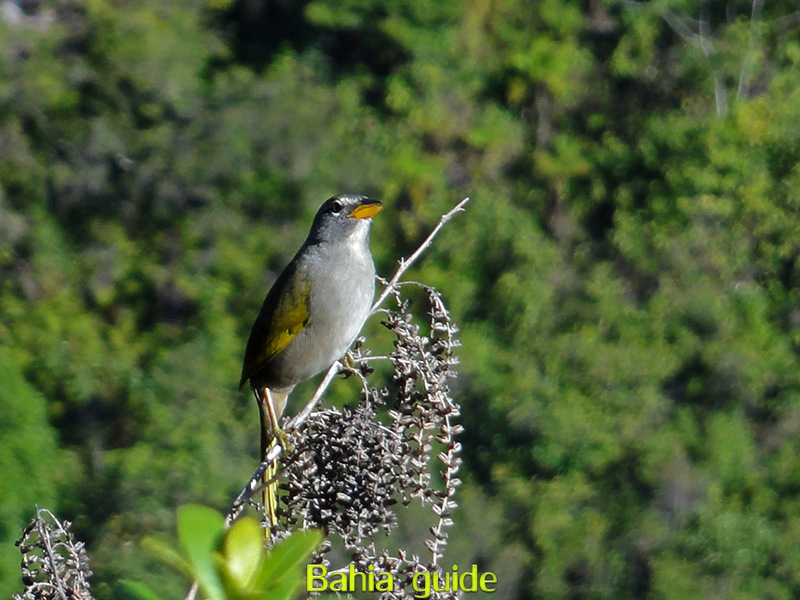 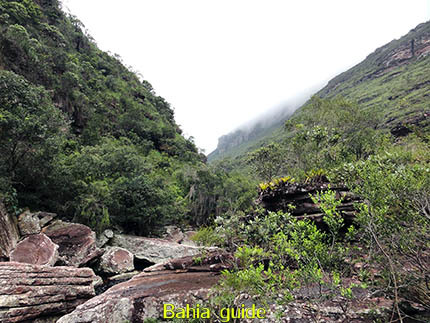 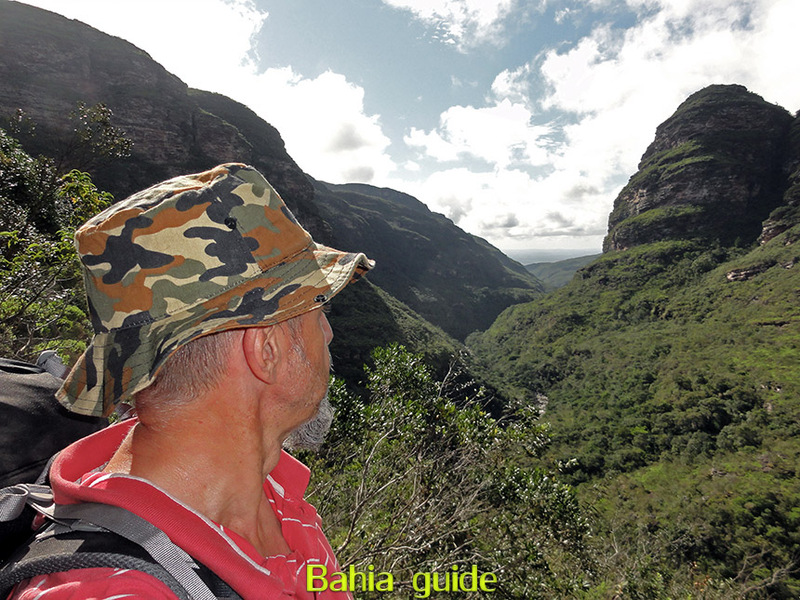 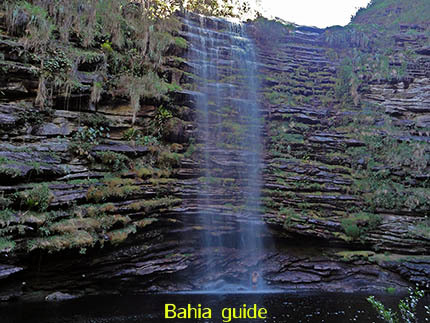 Adventure trekking photography in Chapada Diamantina. 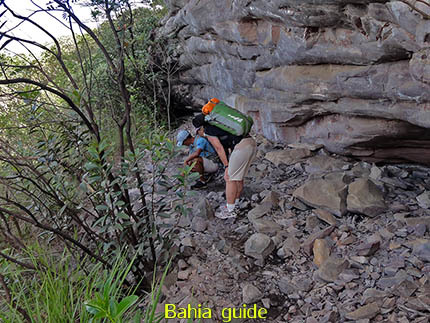 An early morning trekking start Leaving early in the morning from Lençois, the portal of Chapada Diamantina National Park towards the Valé do Capão at the other side of the park. 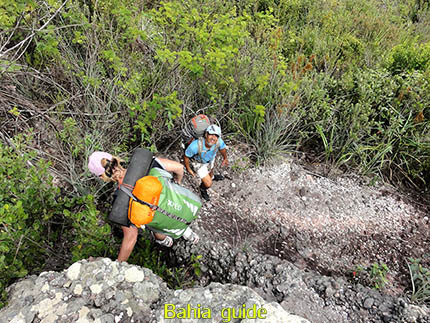 This trekking is going to take 3 full days. 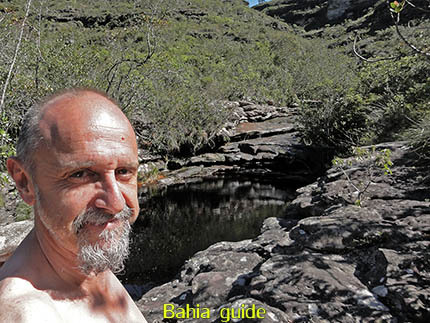 Our local guide Trajano leading the trek today Trajano lives in Chapada Diamantina for over 30 years and knows all the trails by heart. 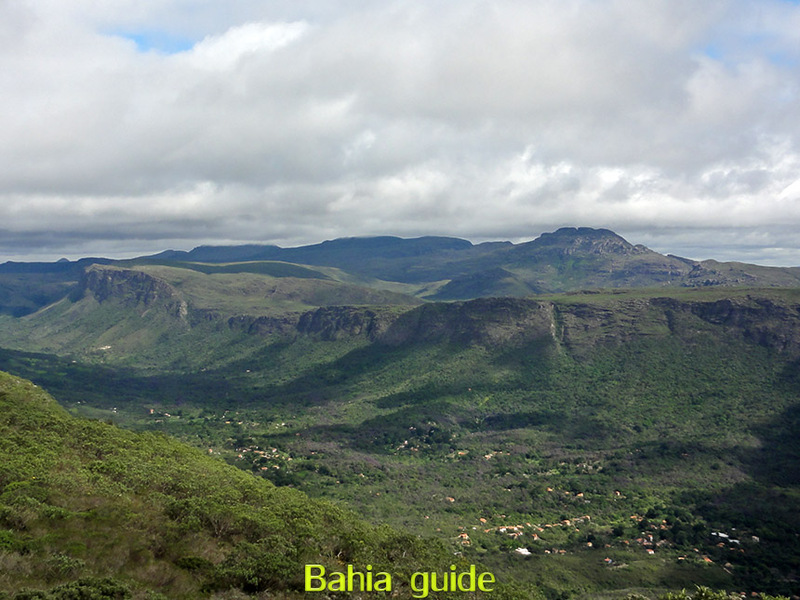 On this trek we will be accompanied by Elfi R.
View at the Ribeirão Meio Getting onto our first climb (there is going to be plenty of those, for experienced trekkers only) I start looking back every now and then. Wild orchid A beautiful surprise on the walk as we discover our first wild orchid. 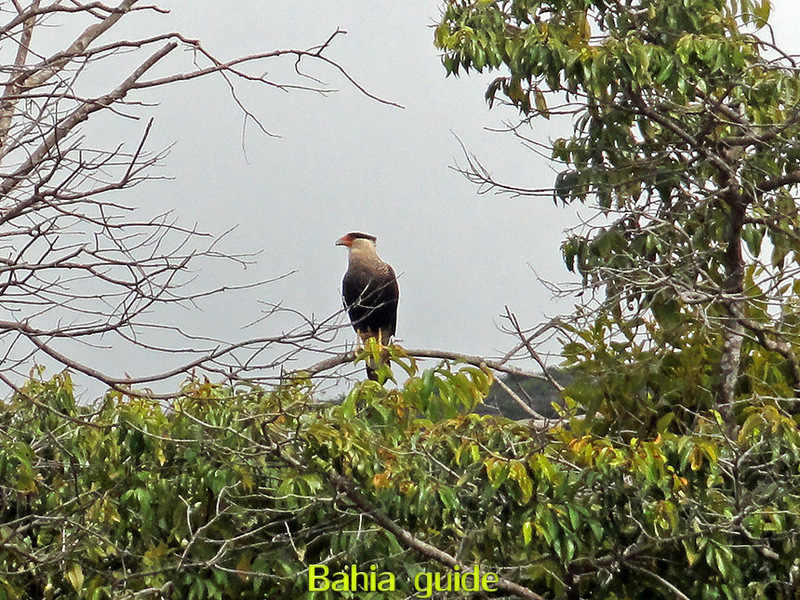 Watch guard This bird of prey was watching out while his partner was having a drink down below. Vegetation getting denser as we advance Our path is getting a bit more overgrown at times. 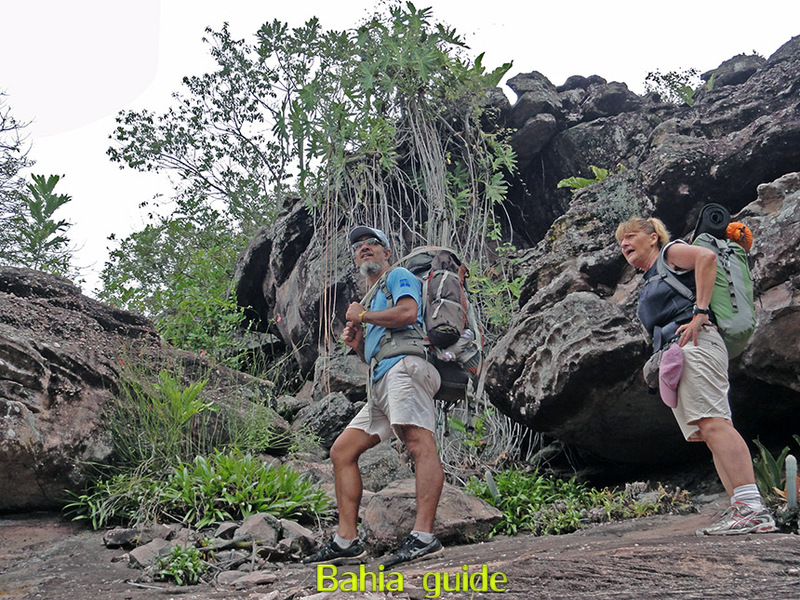 The climb down begins After some incessant climbing up now we have an interesting variant, not always easy to go and Trajano keeps a carefull look on where Elfi is putting her feet. 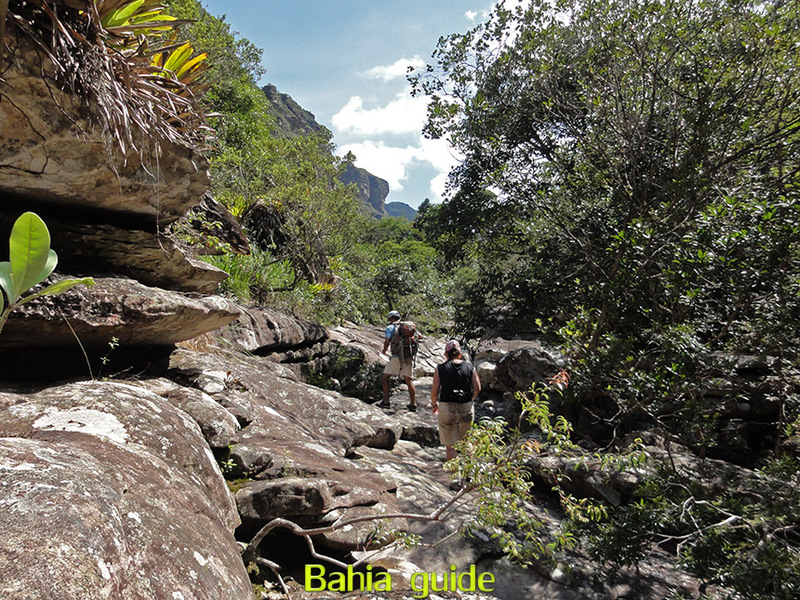 Looking back Allways have your head turned around every now and then, it's worth the effort ! A lesson in local gardening Our guide takes the time to explain some of the local plants and their habits. 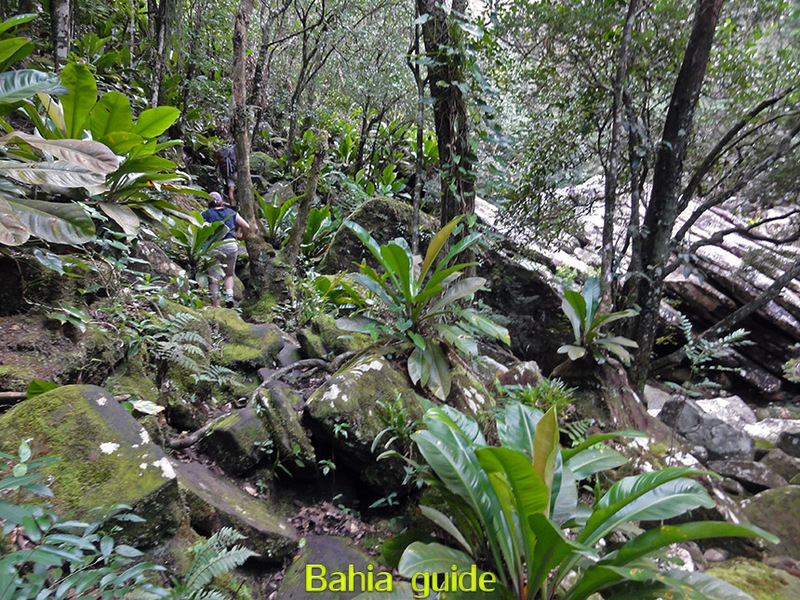 The higher the better Keep climbing and you feel better by each step you take. 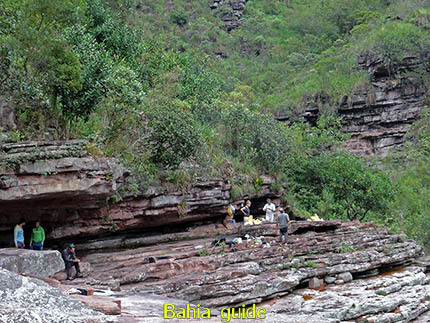 Lunch with a view Could you imagine a more impressive place to have lunch ? 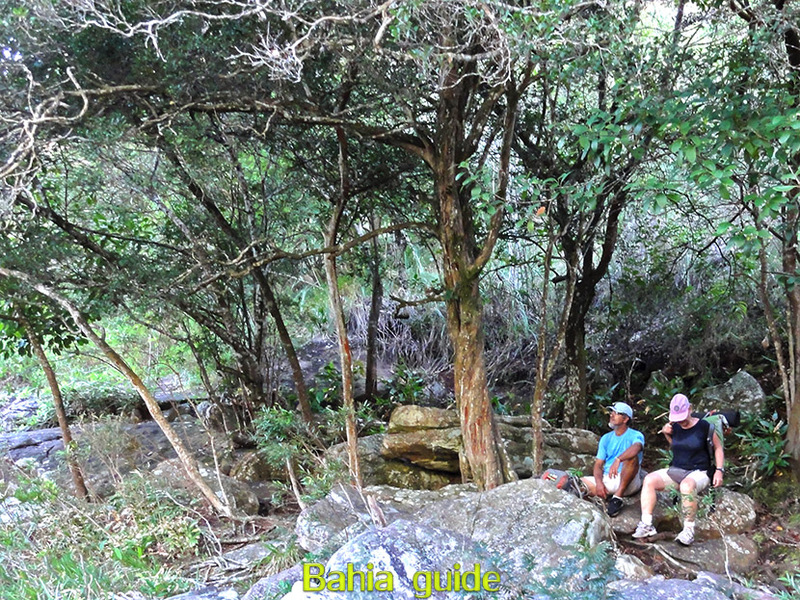 On the way we encountered another group of trekkers and had some interesting exchanges about our first impressions of the trekking. 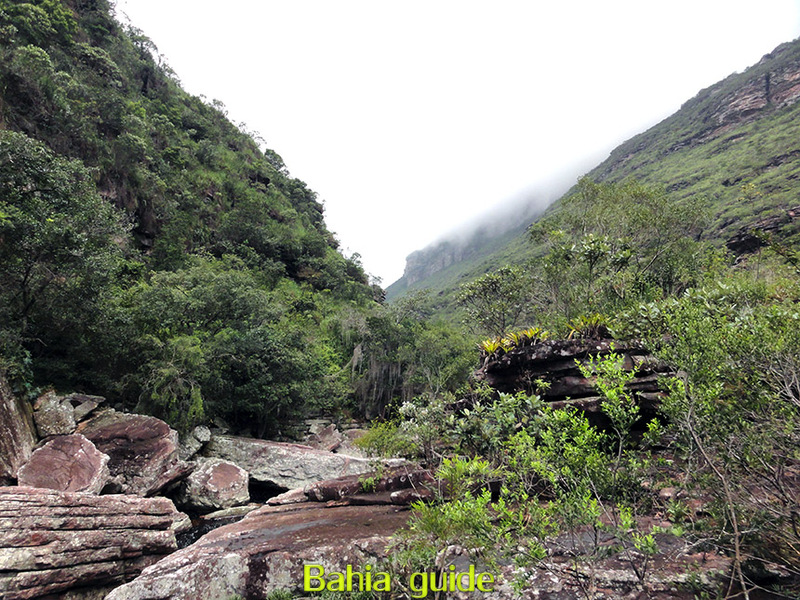 Wild ideas of the views to come After lunch we went deeper and deeper in the park and with every step the views got more and more impressive. Taking a breather And observe some of the sky trying to understand what is to follow weatherwise. Go Elfi, we still have some distance to walk It gives an idea how much water can run through this place if one observes the erosion that has been taking place here for many years. Golden hour approaching The sun was getting lower and the light was getting it's typical goldish color while the mountain shapes were getting longer and longer. 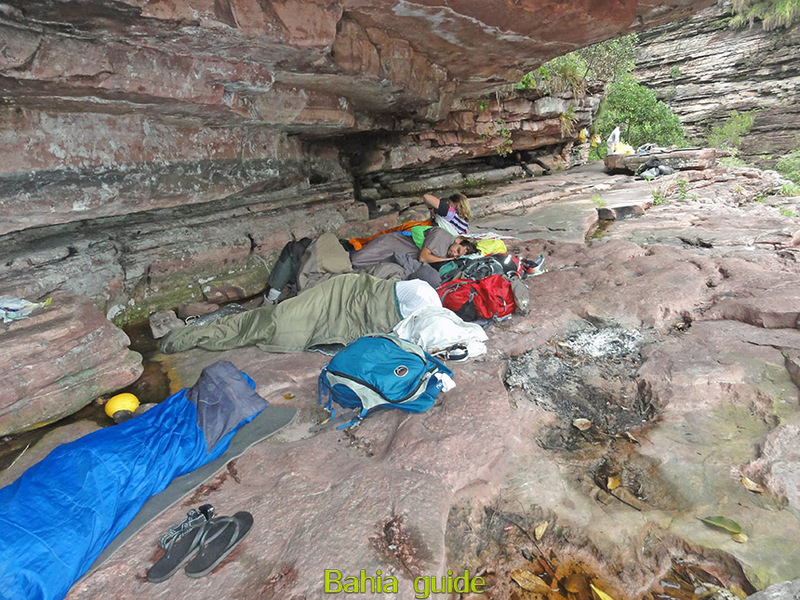 After a rainy night Some of our collegue trekkers went sleeping on different places, but somewhere in the middle of the night it started raining and suddenly the place became pretty crowded, strange waking up under these circumstances, all under the same peace of rock. First views at dawn As usual it is a overcast in the morning, but the views keep being attractive. 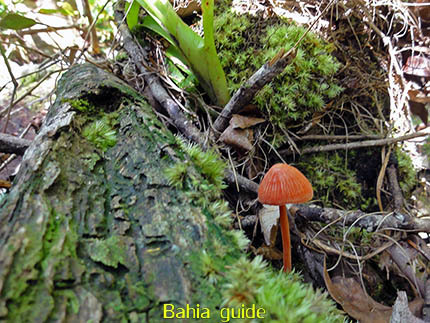 Wild mushroom A beautiful mushroom, needless to say : do not touch it. 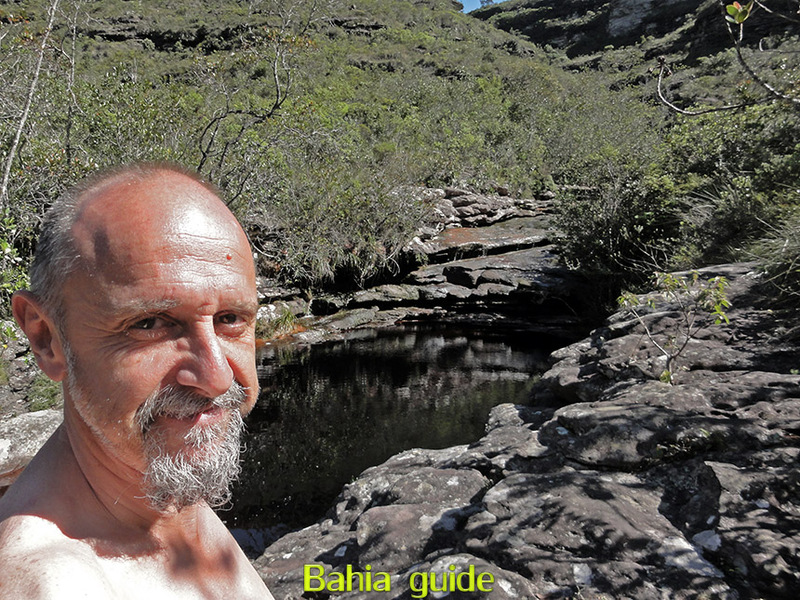 The "people's fridge" 'A geladeira do povo', that is what they locally call this tine little fresh waterspring. it looks a peace of cake but reality will be different. Fumaça = smoke ... understood ? 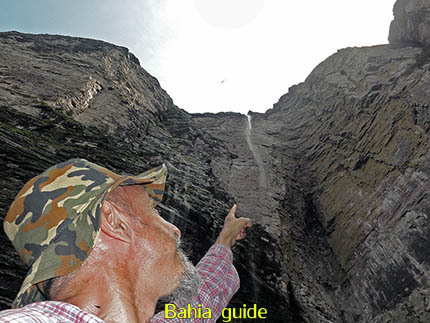 Now it is clear why this waterfall is called the "Smoking waterfall"
All down, a swim, a shower Trajano is in a big hurry for cooling off after this intensive climb to the base of the Cachoeira de Fumaça waterfall, and quickly swims to his private shower. 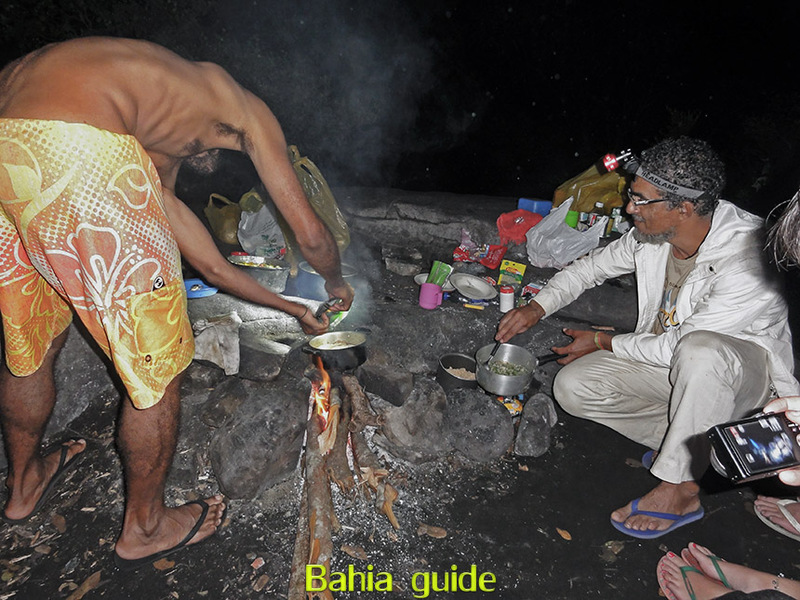 Diner on the rocks Two guides preparing diner, not the most efficient way but you will be surprised how effecient these guys can be in making a meal with the most humble means. 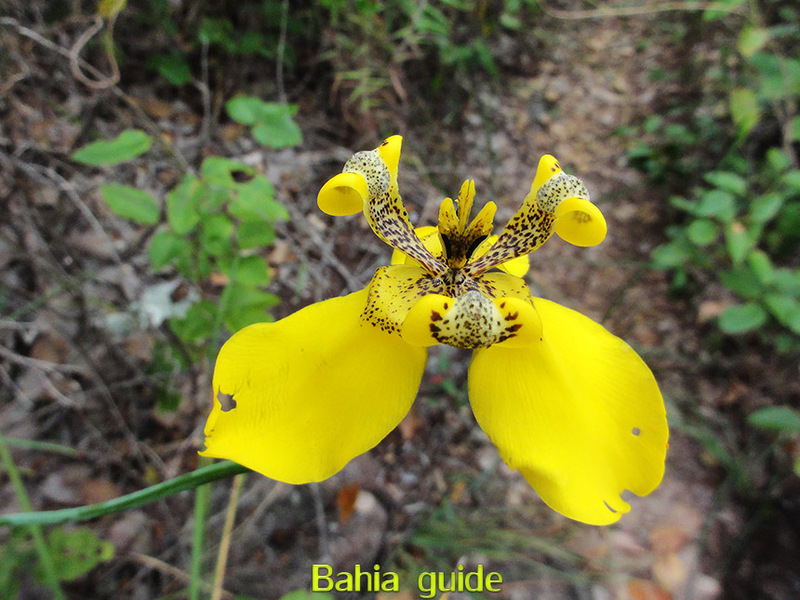 Another wild orchid While walking we discover another wild orchid. Stopover on the rocks Good for some fresh water tanking along the rocks. Sempre vida, sempre 'Sempre vida' flowers are to be found in all forms and sizes, but these are definitly the most cosy ones I've seen so far. 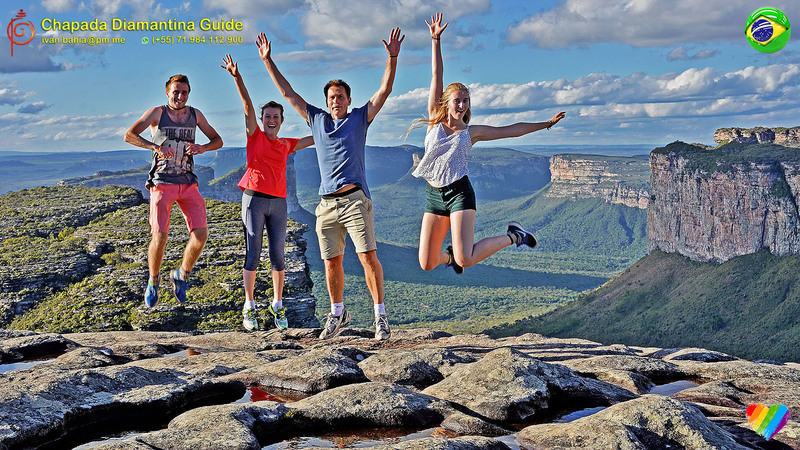 The bubles Yeah, this was indeed a good time for some pictures. Last lunch This was the last time we would be eating in open air on this trip, but it was very nice to be there indeed. Looking down 380m Elfi was not keen on the idea of looking down for 380m to take pictures of the spot we were 24jours earlier but she confessed it was worth the shot (and the adrenaline). 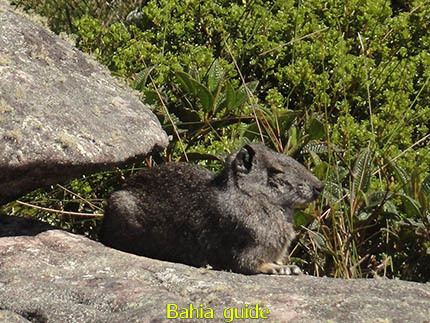 The moco A 'moco', local wildlife in Chapada Diamantina, these are so accustomed to peaple you can almost touch them, in some cases even feed them. A reminder one should always be aware where putting feet walking in a park. 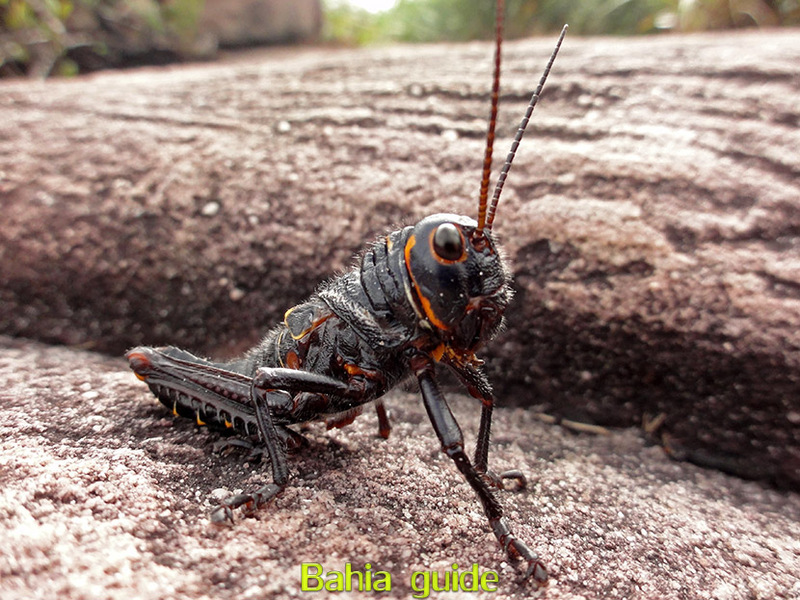 The black hopper A hopping surprise for the attentive observer. The end is in sight Approaching the end of the plateau we have an interesting view on the Valé do Capão. The end of a 3 day trekking, in beauty A beautiful finish going down into the Valé do Capão with views on the North part of the National Park.